The designer Emma Olbers has been commissioned to design the interior of the old library in the new Nationalmuseum. Olber’s mission is to provide a solution for both loose furnishings and exposure of archive and book-related material. The library was opened in 1919 and was public until 1984, when the library function left the museum building. Preserved from the original library interior is the bookshelves, designed by Nordiska Kompaniet in 1918-1919. 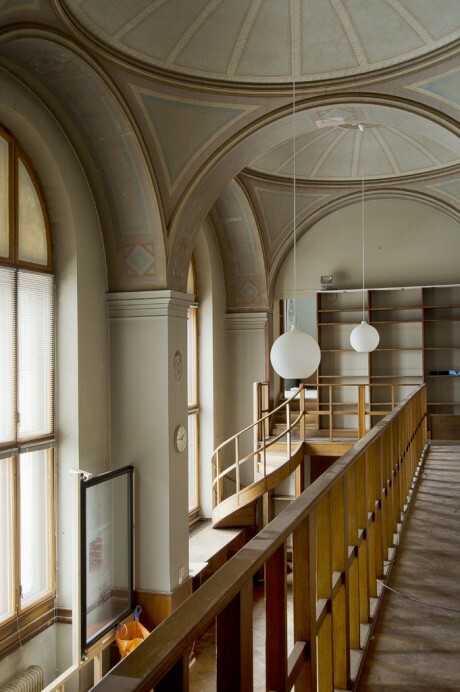 When Nationalmuseum reopens in 2018, the library-room will open to public again, not as library but as a place for recreation and inspiration, with exhibitions related to the museum´s library and archive collections. ”It’s an honor to work with such a beautiful public place with so much history. I want to highlight Swedish furniture production today and show the long-term perspective in a well-thought-out interior, where a 100-year-old bookshelf beautifully meets a contemporary chair, says Emma Olbers.